What you’ve been waiting for, fellow pugophiles, is about to take place: One of Shakespeare’s most challenging plays, Hamlet, will be performed entirely by a cast of pugs. 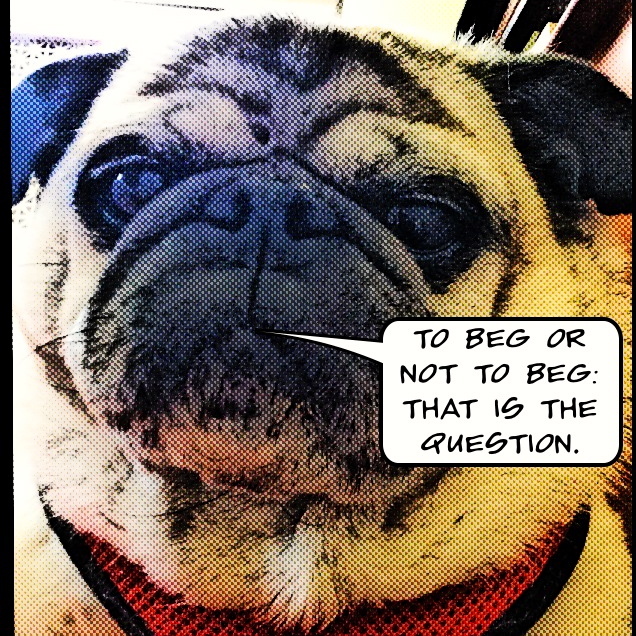 Originally intended as a joke–ha!–Puglet will feature pugs strutting about on stage (accompanied by their handlers) while human actors read their lines. The performance is the brainchild of Kevin Broccoli, an actor from Rhode island who set up a Kickstarter for the project in July. The play will be performed a year from now and filmed–so stay tuned! Read more about the production on BuzzFeed. 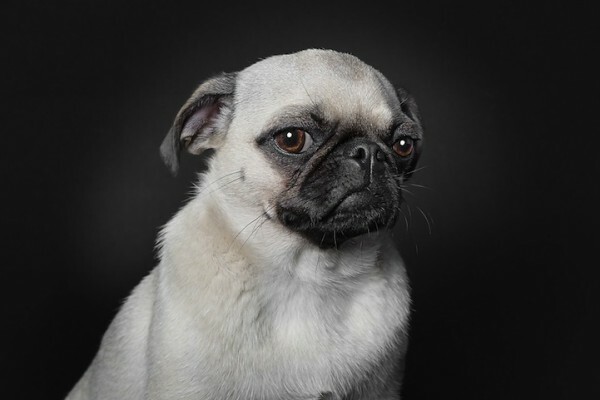 Photographer Ralph Hargarten shot the amazing photo of this dignified pug. 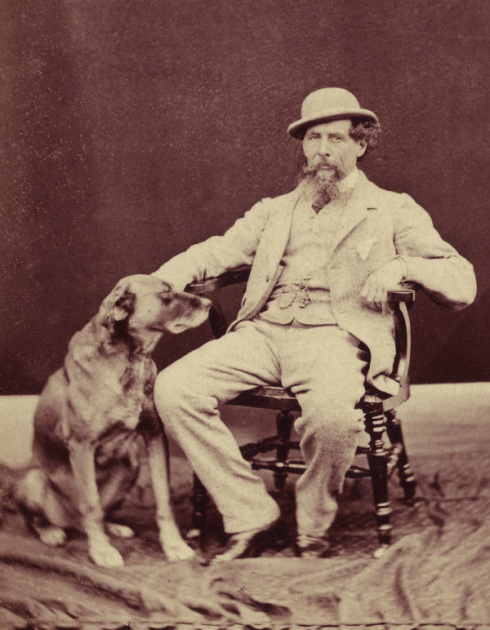 Hargarten’s project, A Dog’s Life, can be viewed here. The expressive portraits really capture each dog’s personality. Hargarten’s dogs aren’t the familiar tail-wagging, grinning pups you see on greeting cards. These animals are thoughtful souls, full of gravitas. A fascinating study featuring dogs and questioning whether they have human-like emotions appeared in a recent New York Times article. Titled, Dogs Are People, Too,” the findings suggest what every true dog lover already knows: that dogs are capable of feeling love and attachment. Duh! Just one look at the soulful mug pictured above would tell you that. Still, it’s always nice when science backs up art. Peter Lorre + Bratwurst = Pug? I’m a mystery aficionado and I don’t usually stumble across pugs in the suspense books and thrillers I read, but this one stopped me dead in my tracks. The except is from Rage Against the Dying by Becky Masterman, and it’s about Brigid Quinn, a 59-year-old woman and an ex-FBI agent, who gets wrapped up in a cold case after someone tries to kill her. The pugs in the thriller belong to Brigid’s husband, and they never do name them. They’re just the Pugs. Later on, there’s a hilariously scary section when Brigid and the pugs are ambushed in the Arizona desert and the pugs go cascading down a prickly slope like a pair of furry tumbleweeds. Read the book if you like to settle down with a good thriller. If you’re get queasy easily, though, you may want to pass. And, spoiler alert, the pugs come out of their ordeal just fine. On my other blog, The Cath in the Hat, I review children’s books. It isn’t often that my two interests collide, but it’s usually a happy occurrence when they do. 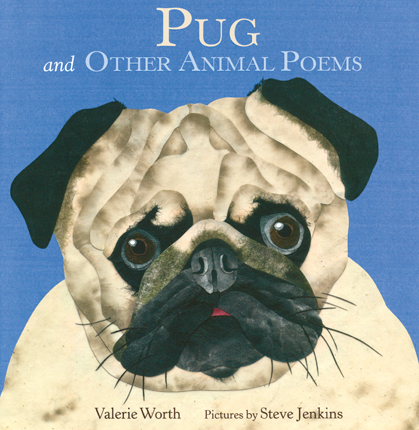 Case in point, Pug and Other Animal Poems, a picture book featuring verse by Valerie Worth and illustrations by Steve Jenkins. Jenkins uses collage to capture each animal’s portrait, and as you can see by the pug on the cover, he does a masterful job. I love the way the tip of the pug’s tongue sticks out, something that Pablo has taken to doing lately. Somehow I missed this book when it came out in 2010. 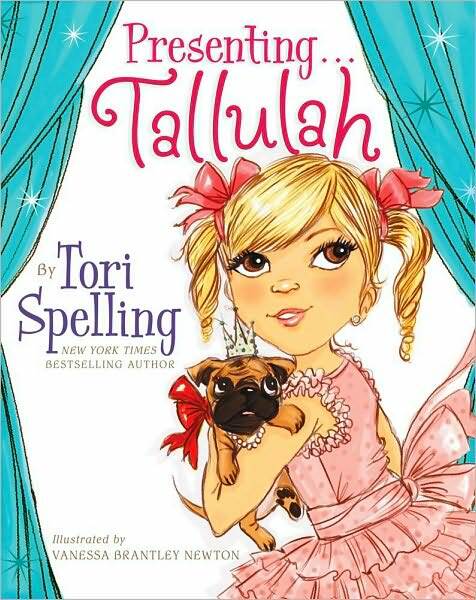 Written by Tori Spelling–yes, that Tori–it’s a story of a poor little rich girl who can’t act the way the other 99 percent do. She’s not allowed to get dirty, or talk loudly, or even wear jeans. So tragic. On the plus side, there’s a pug in the book. In real life, Tori Spelling is a big fan of pugs, so no surprise she included one in her story. Coming out in a few days is another, more promising book for pug-loving kids. 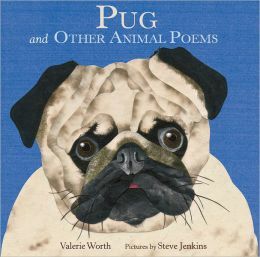 Pug: And Other Animal Poems is by Valerie Worth with collage illustrations by the brilliant Steve Jenkins. Its on my TBR list for sure. 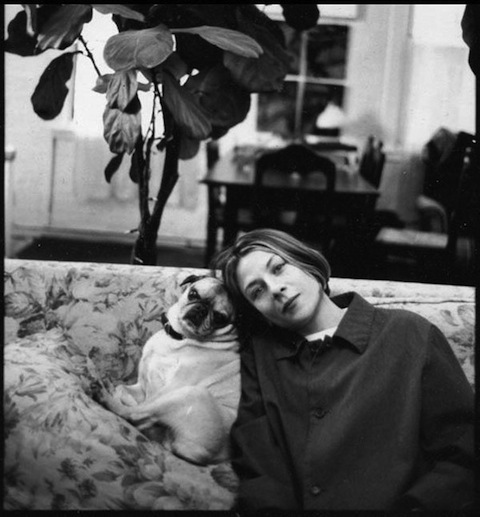 I saw this photo of Donna Tartt (author of The Little Friend) and Pongo, her pug, online and just had to post it. Check out Flavorwire’s other photos of famous writers at home. Sorry, folks, this is the only one that features a pug, but catch the one of Edward Gorey draped with cats. There’s also an eye-opening shot of Hemingway in bed wearing nothing but the New York Times.